During yoga practice today the teacher said to focus on your passion, what makes your heart sing. 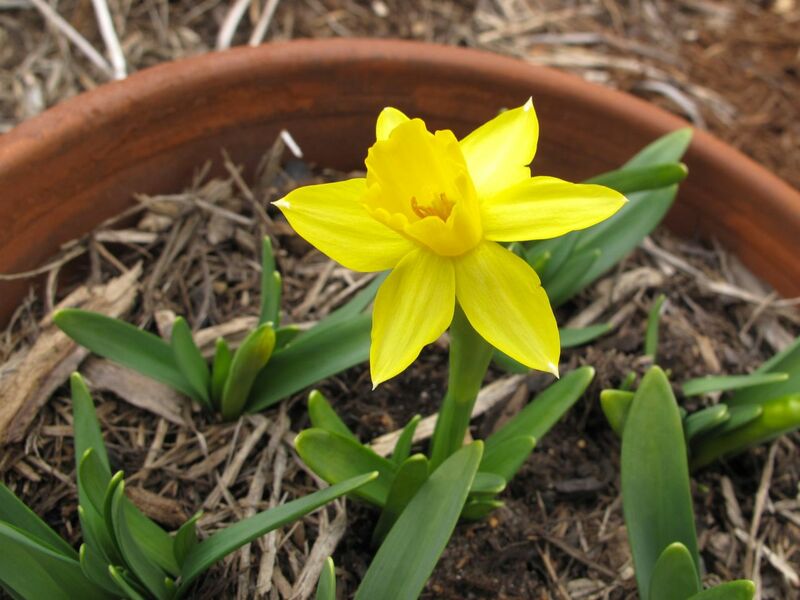 Immediately I formed a picture of my early spring garden. 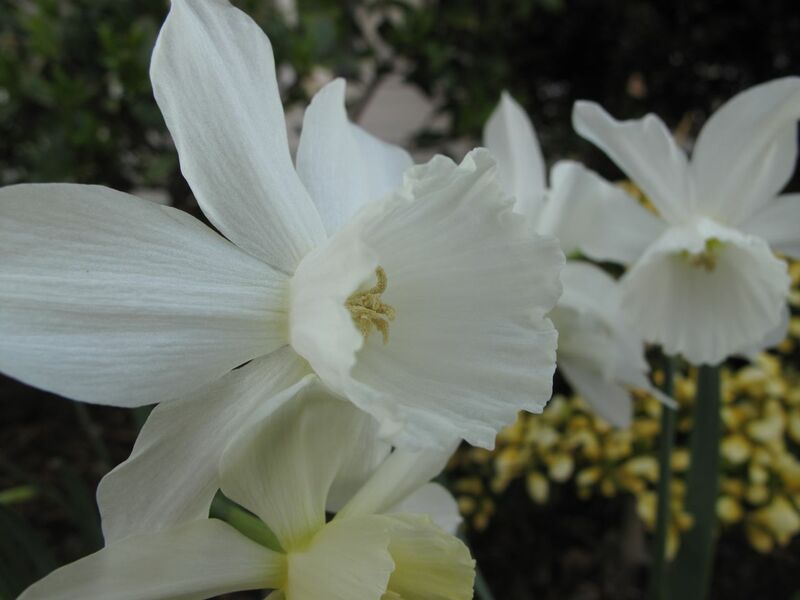 We have had several ideal days for gardening and I have tried to take advantage of the opportunity they bring. Sometimes that means working, weeding, planting, but sometimes it means sitting quietly, noticing the warm sun, the soft breeze, the gentle sounds. 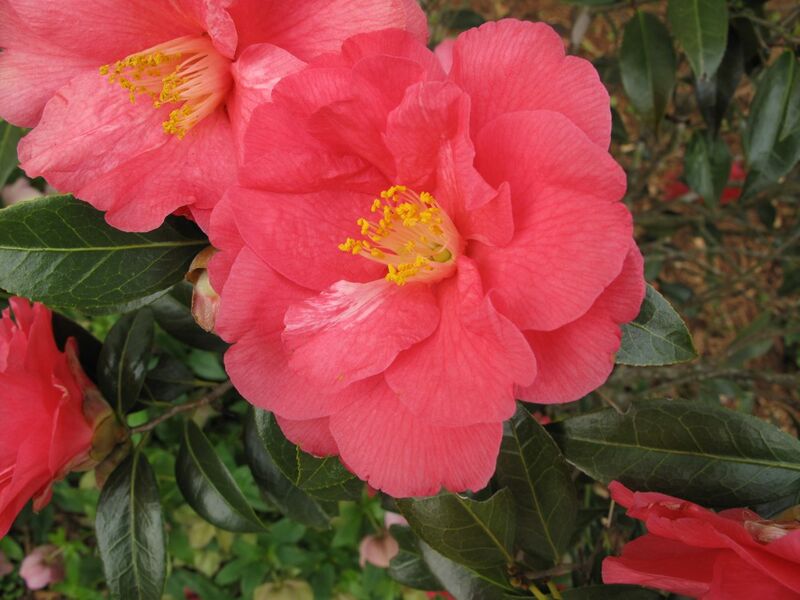 Three plants in particular are enhancing the garden this week with their flowers. 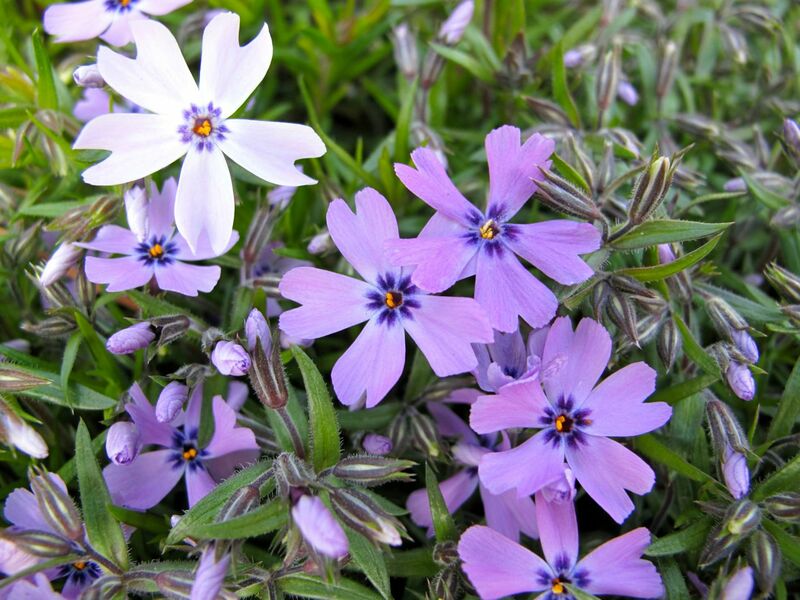 One is Phlox subulata. 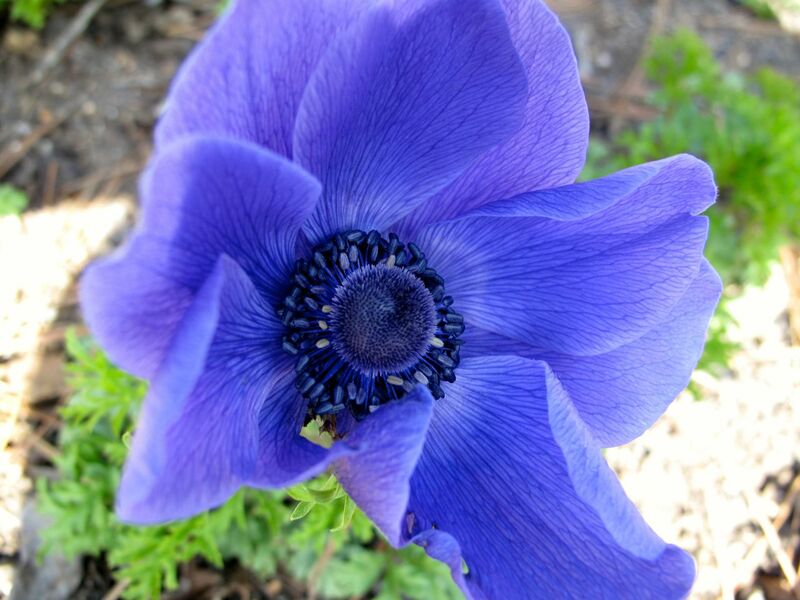 ‘Emerald Cushion Blue’ is blooming in the front side garden. 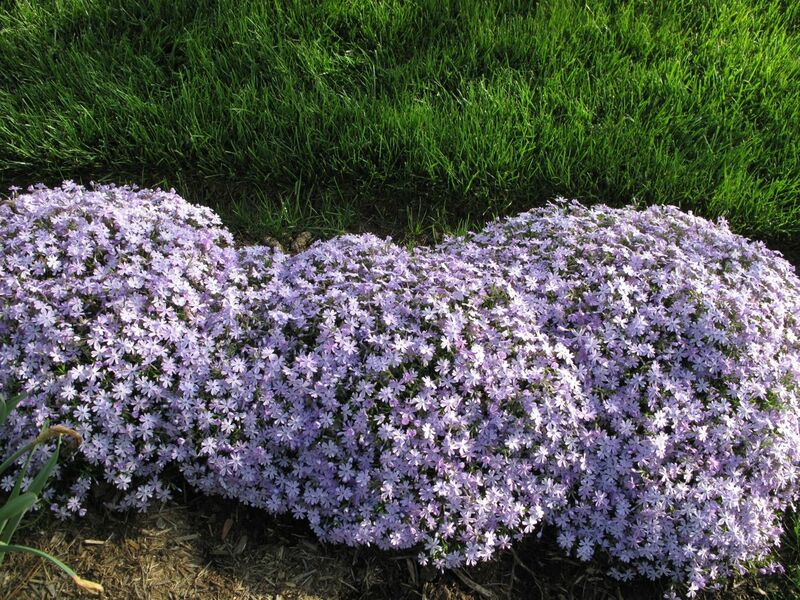 Out back in the main garden ‘Emerald Cushion Blue’ is paired with the darker ‘Purple Beauty’ where together they are creating mounds of color at the front of the western border. 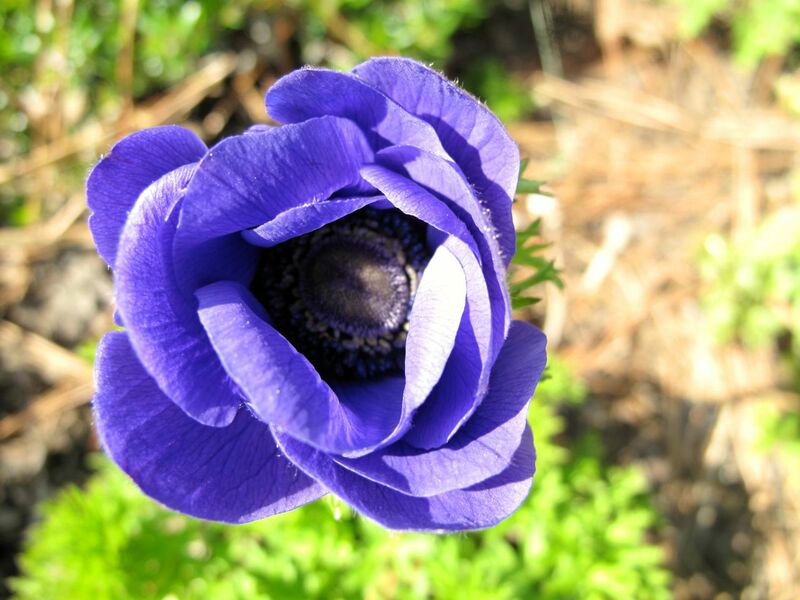 Nearby, and at long last, a few Anemone coronaria have survived and blossomed. 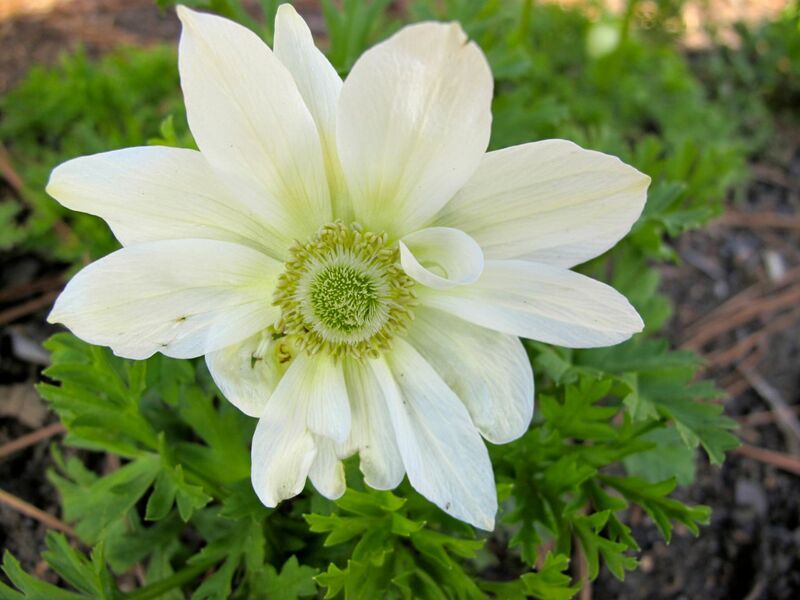 The white anemone ‘Bride’ opened three or four days earlier than blue-violet ‘Mr. Fokker’. 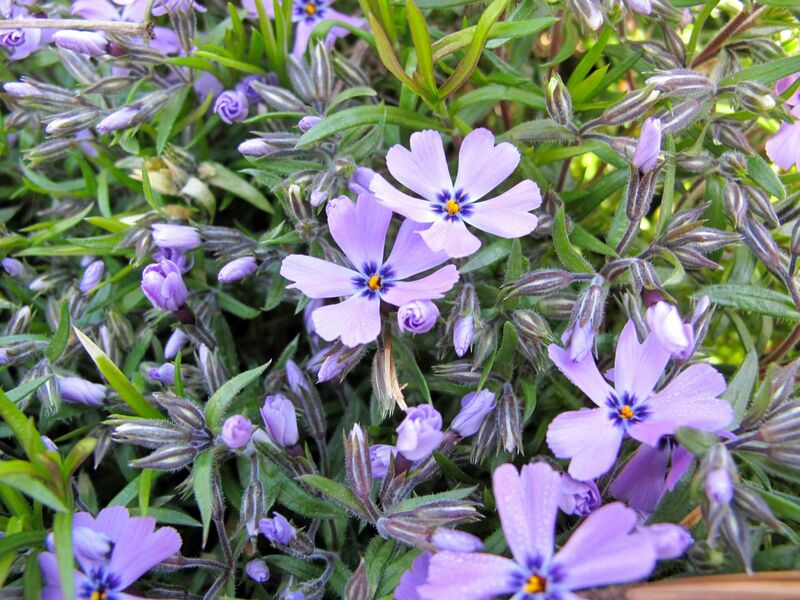 Still no sign of dark pink ‘Admiral’ but I am delighted to see these. 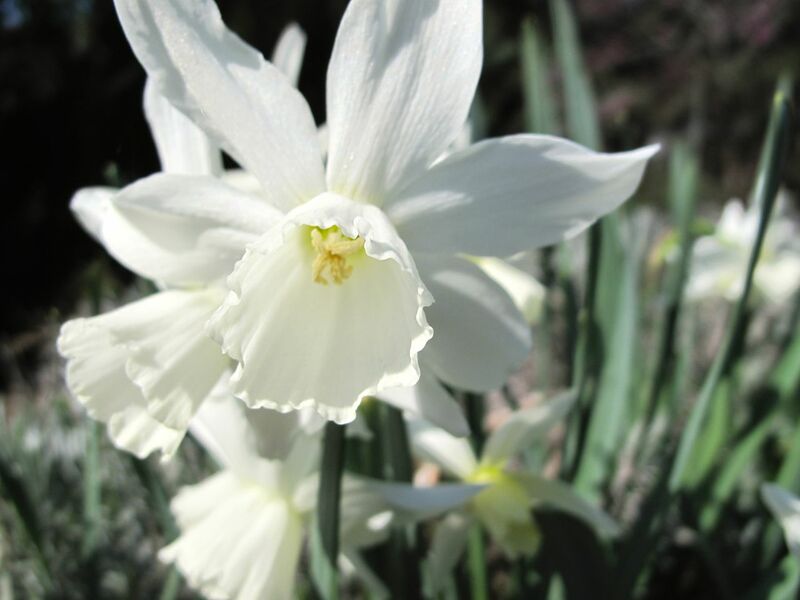 Just as I realized with some sadness the King Alfred and Tete-a-Tete Narcissus are beginning to fade, another favorite sprang up with striking, pure white flowers: Narcissus ‘Thalia’ (Thalia Daffodil). 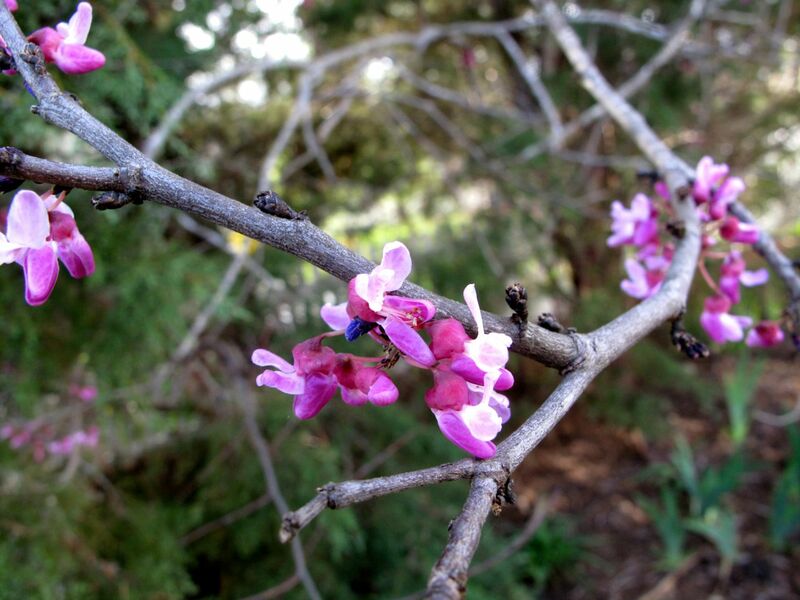 The test is one mentioned on the JC Raulston Arboretum blog, cited there as an April Fool’s entry. 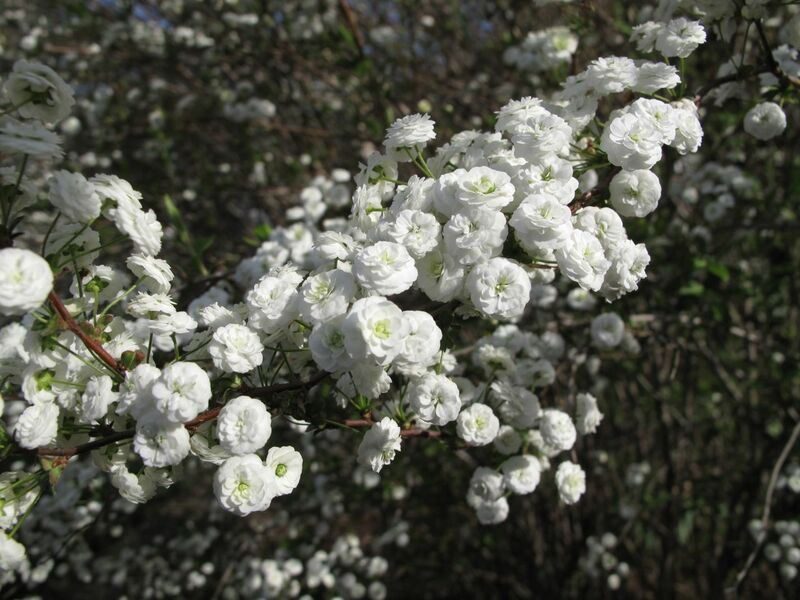 In fact it is a very tricky botanical knowledge quiz, apparently an annual spring tradition of Irina Kadis, Arnold Arboretum’s Curatorial Assistant. 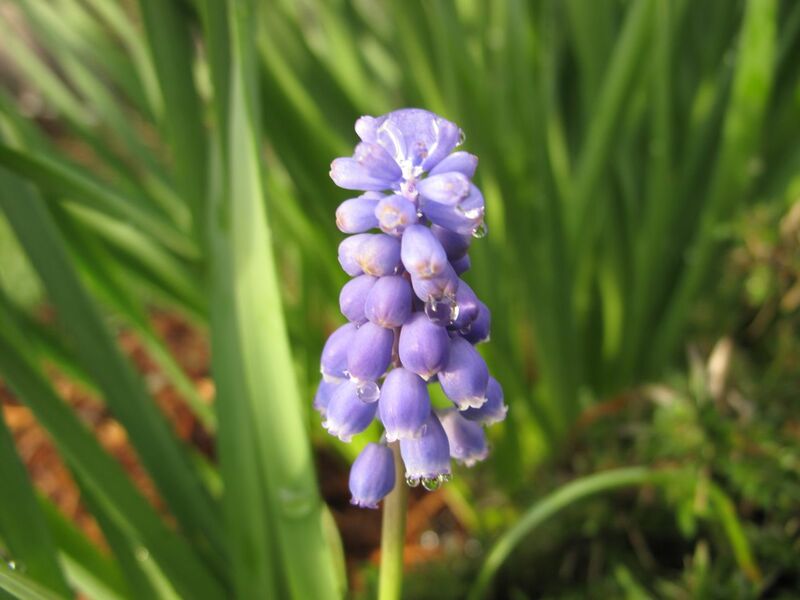 If you enjoy this year’s quiz, annual quizzes from Spring 2006-2014 are also available. 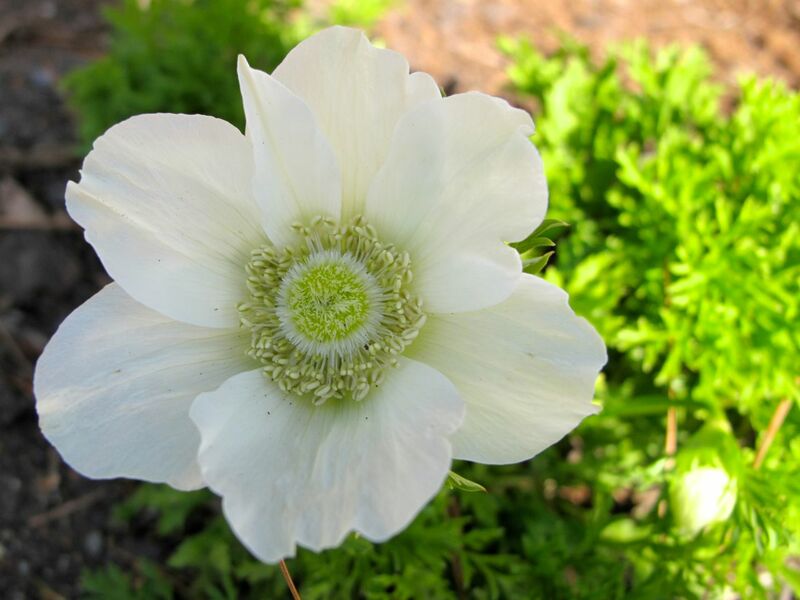 This entry was posted in garden and tagged Anemone coronaria, botanical quiz, Narcissus 'Thalia’ (Thalia Daffodil), phlox subulata on April 2, 2015 by pbmgarden. The temperature is 79°F (26°C) at 7:00pm but it will cool down for the weekend about ten degrees. It has been sunny and warm this week and somehow I even managed to get a few things accomplished in the garden. 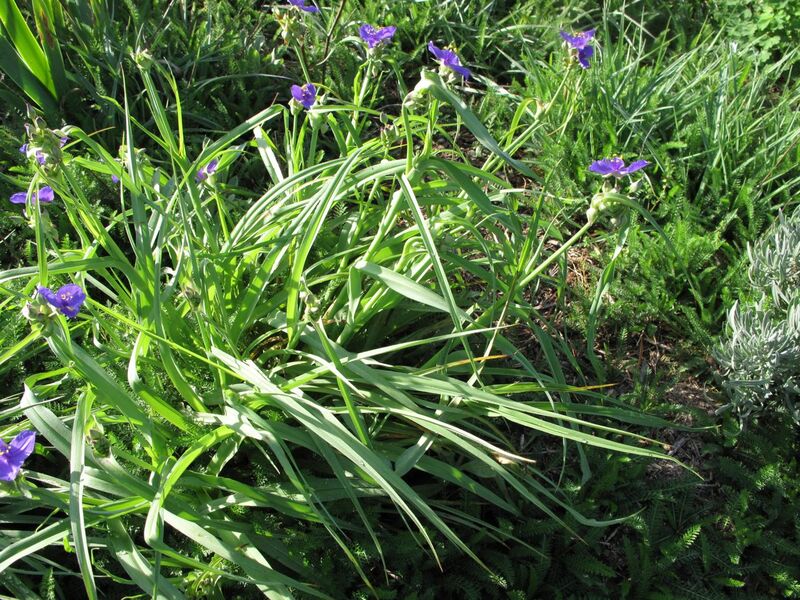 There are quite a lot of weeds I still need to tackle, but I can see progress in the area of maintenance. 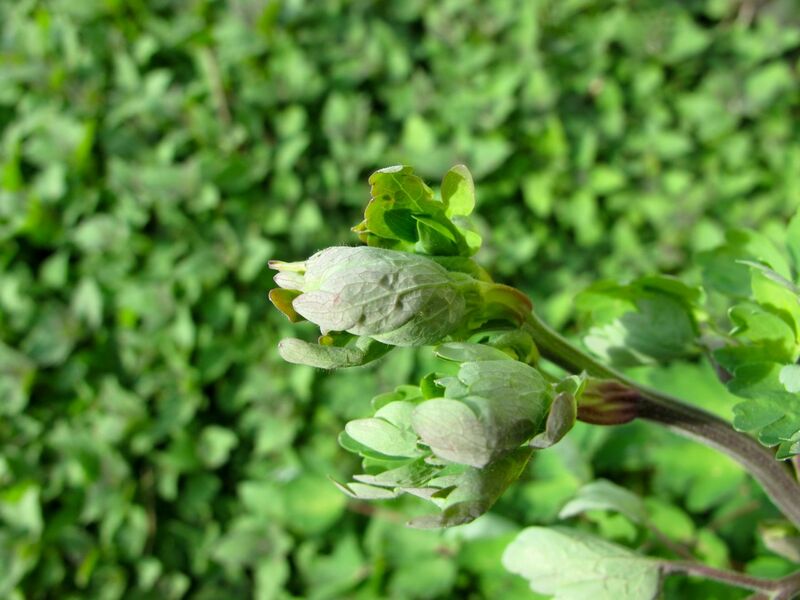 Meanwhile plants are responding to the nice weather, putting on new growth, sending up shoots and displaying glorious blossoms. 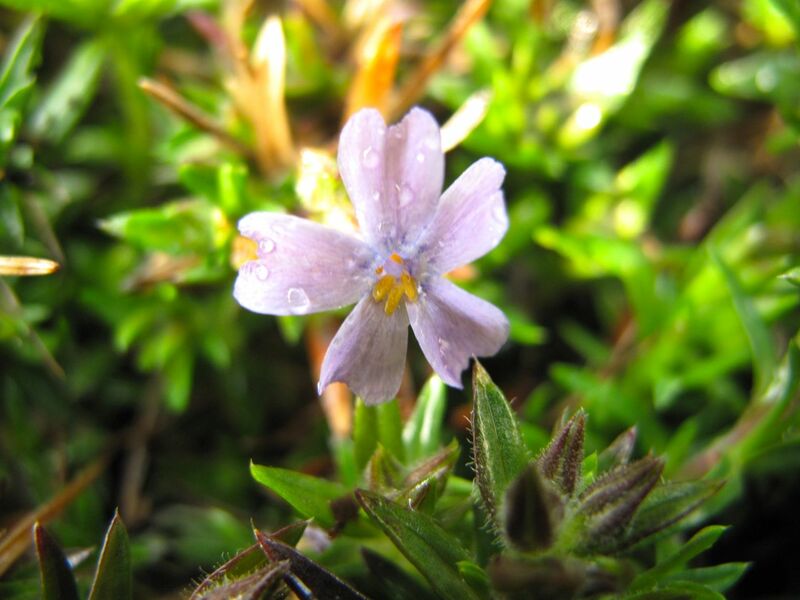 Phlox subulata (Moss Phlox) is just beginning to open. 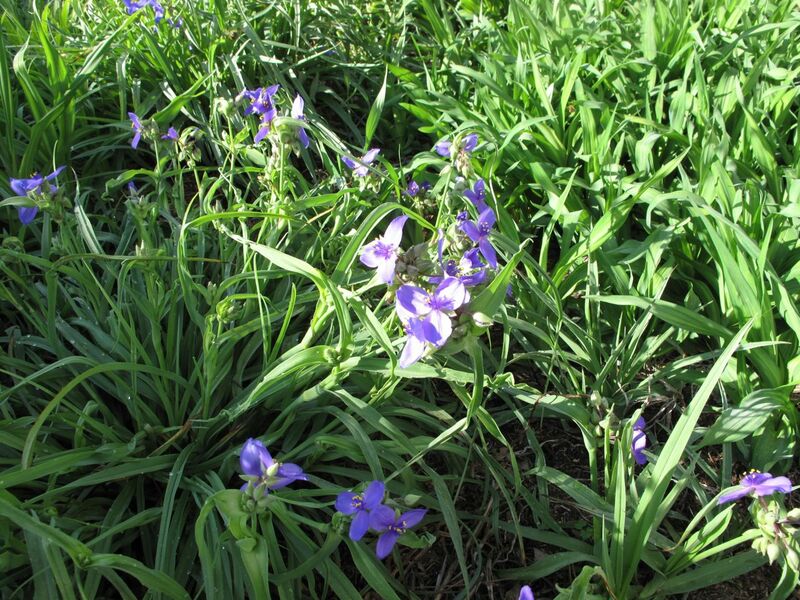 It is planted in several locations around the garden and I just made an application with our architectural review board to put some in the “hell strip” near the street where grass struggles to grow. 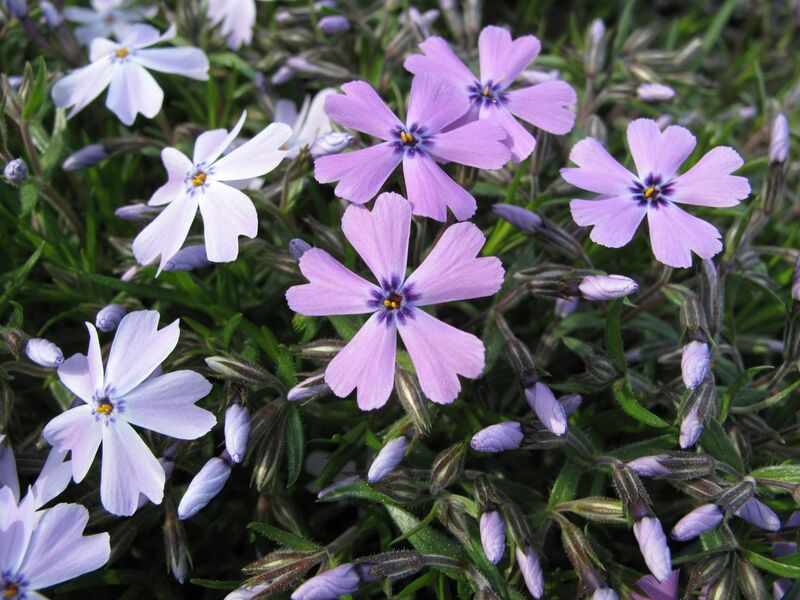 I prefer the bluer hues and currently am growing Phlox subulata ‘Emerald Blue’ and the darker Phlox subulata ‘Purple Beauty’. 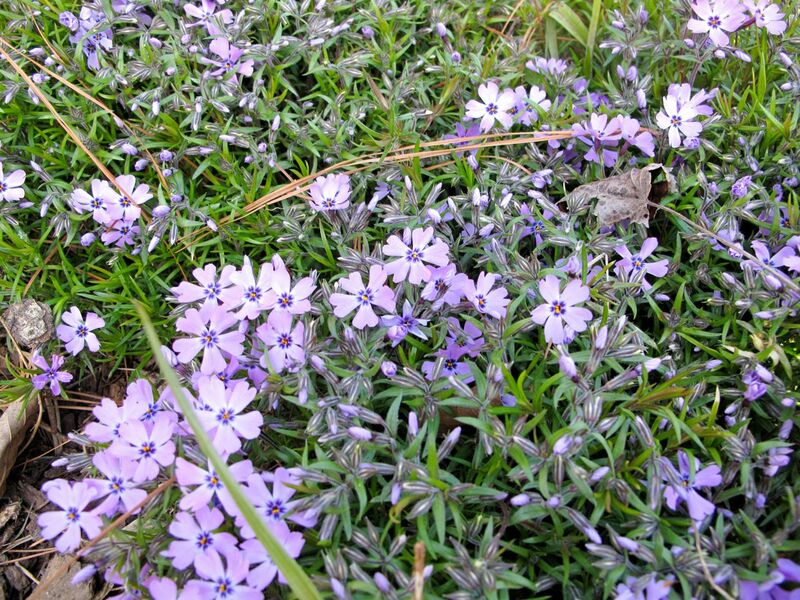 On the left is Phlox subulata ‘Emerald Cushion Blue’ and on the right, ‘Purple Beauty’. 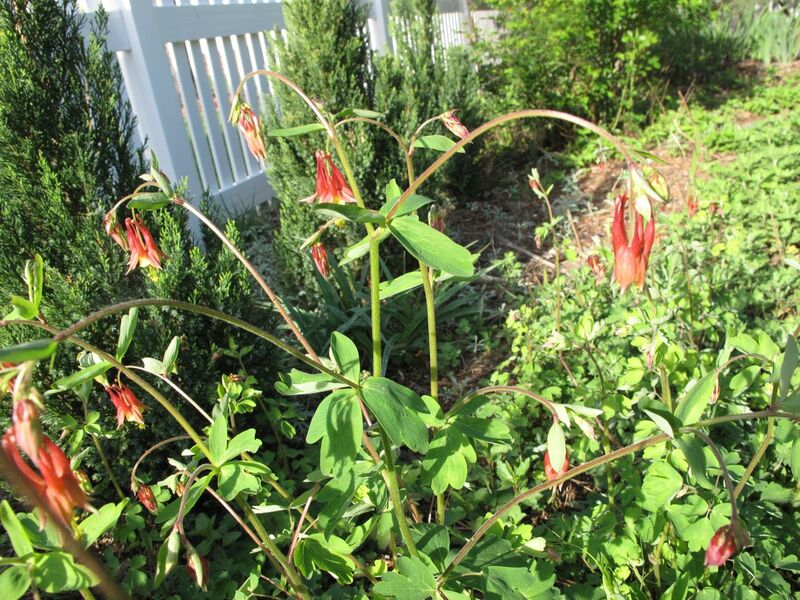 This native Aquilegia canadensis (Eastern red columbine) is at about the same stage as last year and should bloom in a few days. This particular one is hovering above a thick mass of Monarda didyma (Scarlet Beebalm), also a native plant. 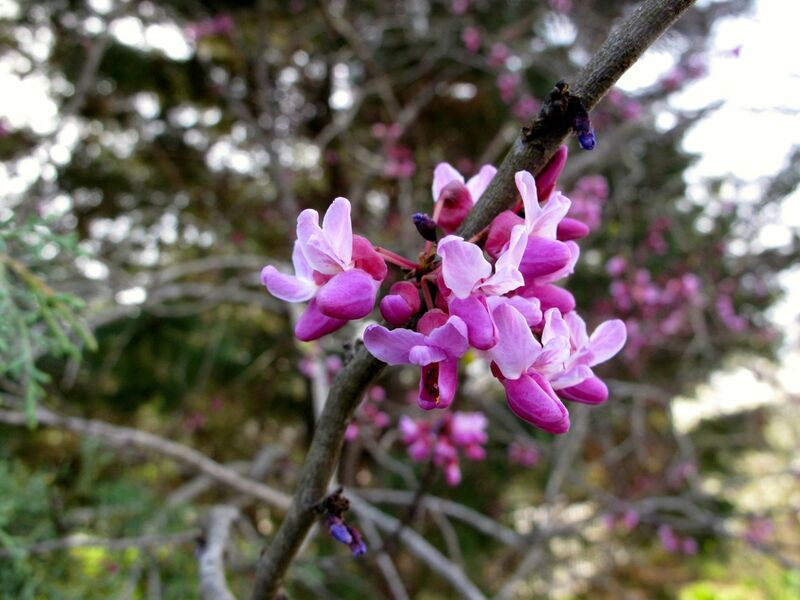 Despite being crowded out by evergreens in the back corner of the garden, a struggling Cercis canadensis L. (Eastern Redbud) is valiantly signaling another spring. 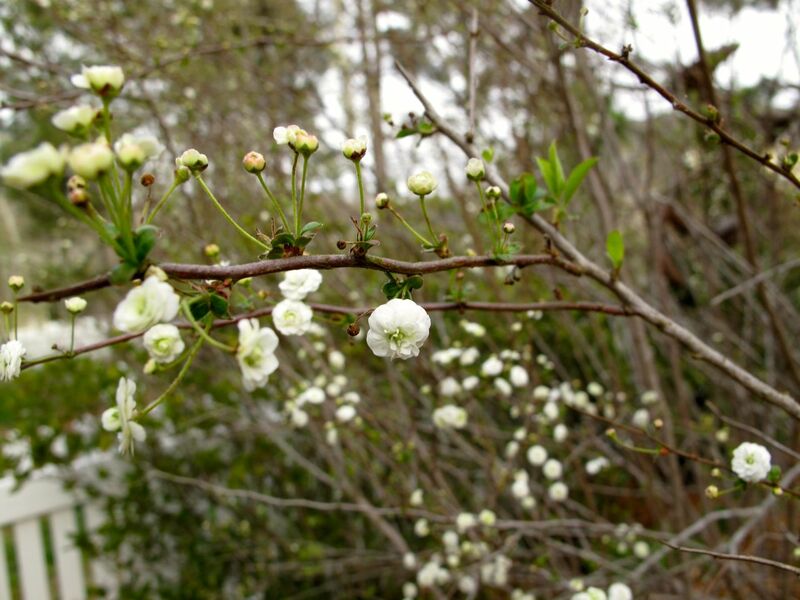 This tree also is native to this part of North Carolina. 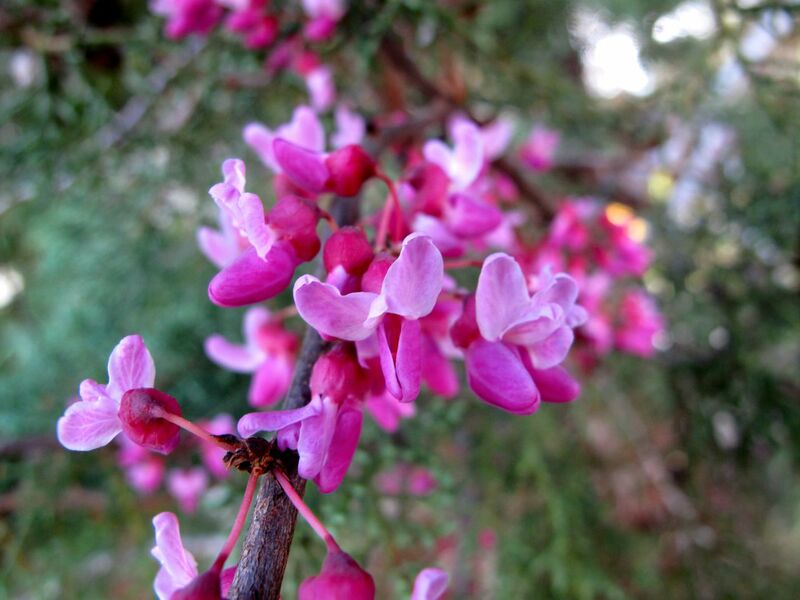 The clusters of magenta flowers often grow out of the tree trunk itself. 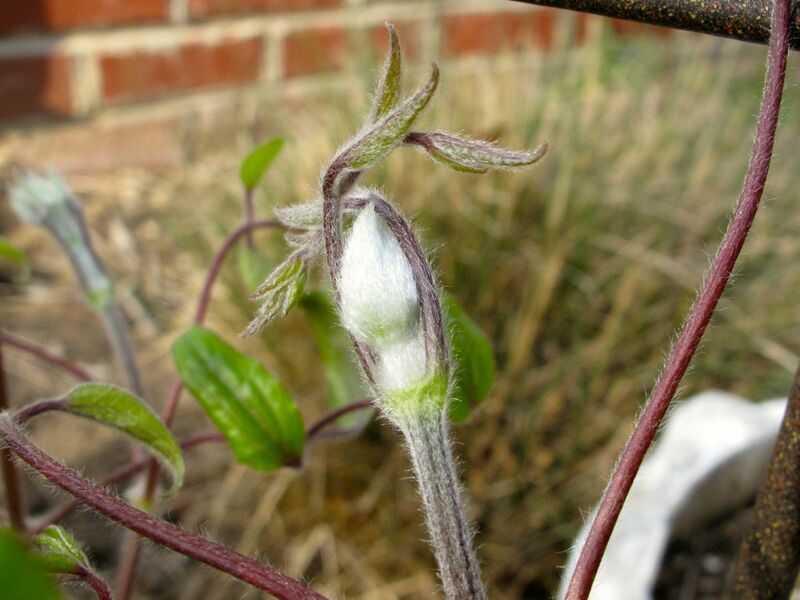 I pruned the Clematis ‘Jackmanii’ back to 7-8 inches in late winter and it is leafing out and forming a lot of healthy buds. 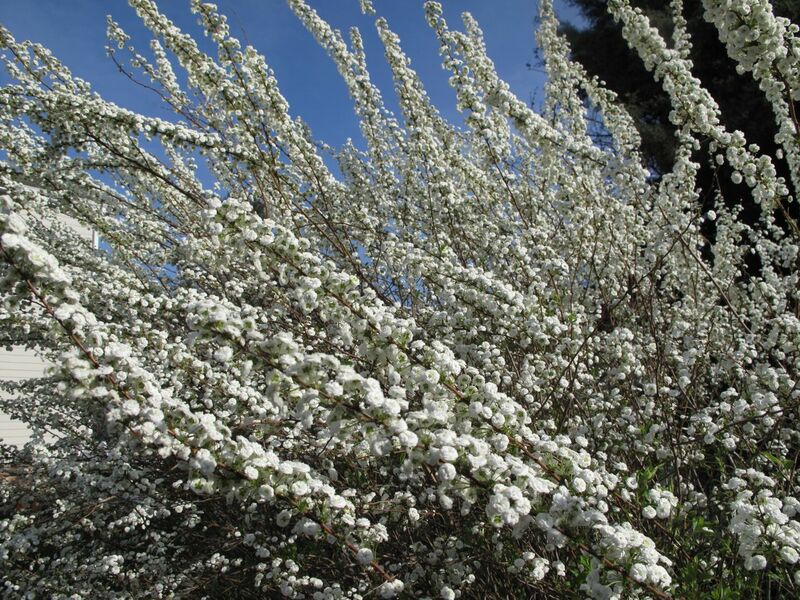 Spiraea is in full bloom this week in the western border. 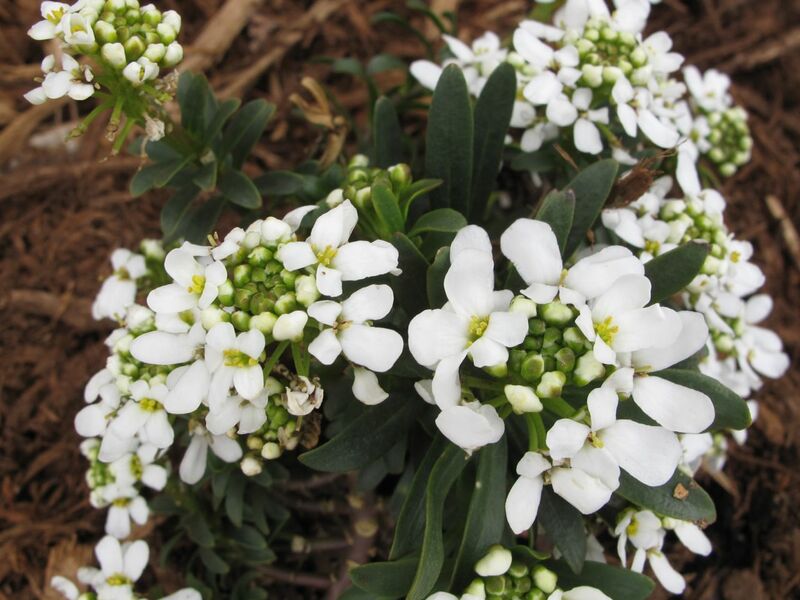 Another white flower in bloom now in my garden is Iberis sempervirens (Candytuft). This can be long-lived but I have lost many plants in the last few years due in part to voracious voles and perhaps also due to wet soil. Some have survived here at least ten years so there may be a difference in the variety also. At any rate, things are moving along. So nice to see the garden awakening. 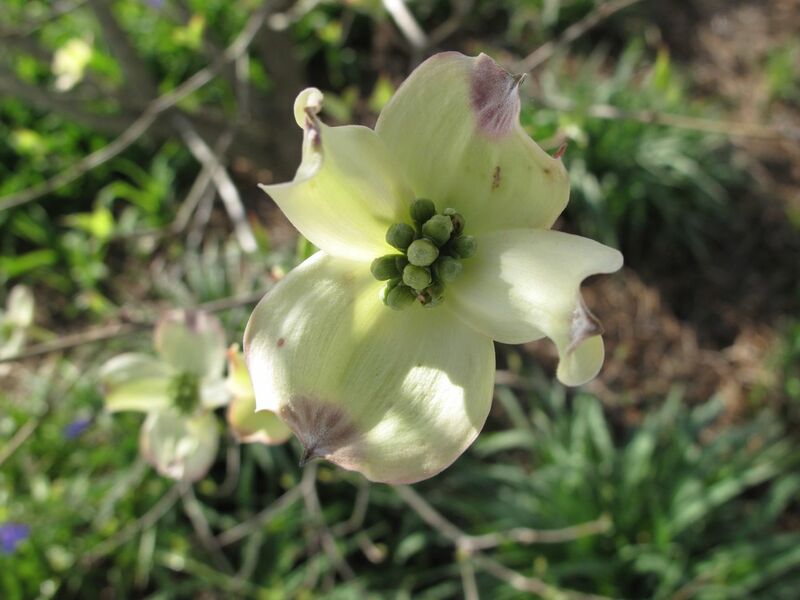 This entry was posted in garden and tagged early spring plants, eastern red columbine, Eastern Redbud, garden almanac, iberis sempervirens, native plant, phlox subulata, Spiraea on April 4, 2014 by pbmgarden. 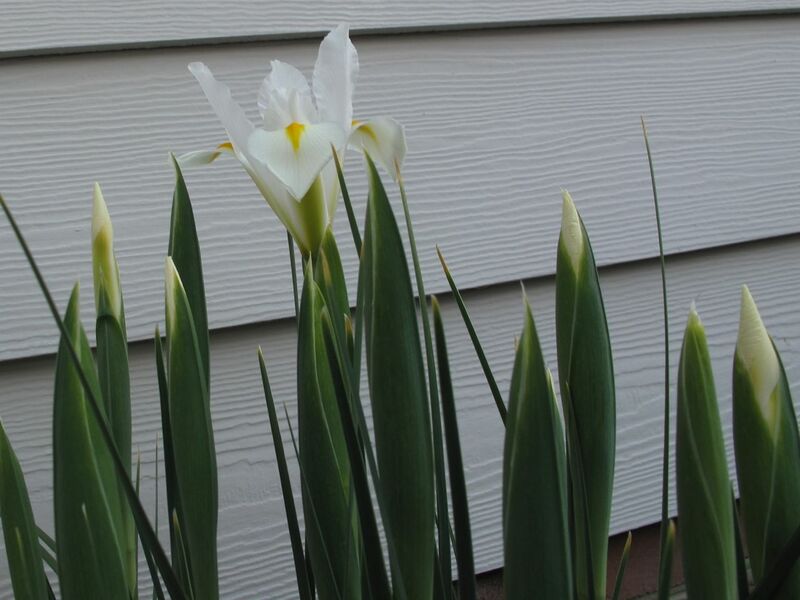 My maternal grandmother grew rows and rows of flowers for cutting—Dutch Iris in spring and Gladioli in summer. 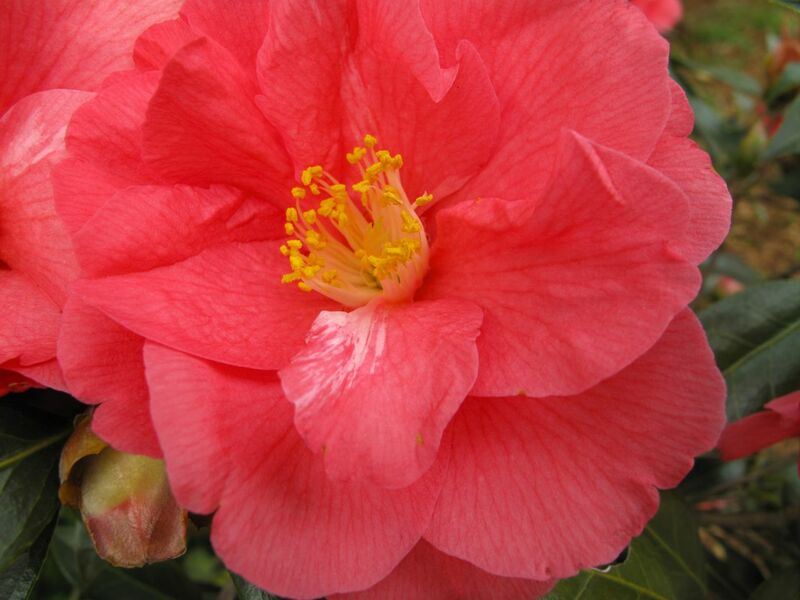 When five or six years old I sometimes spent the night with her and every morning we would head out early in the morning to clip the flowers that were ready to be added to her large, tall vase. 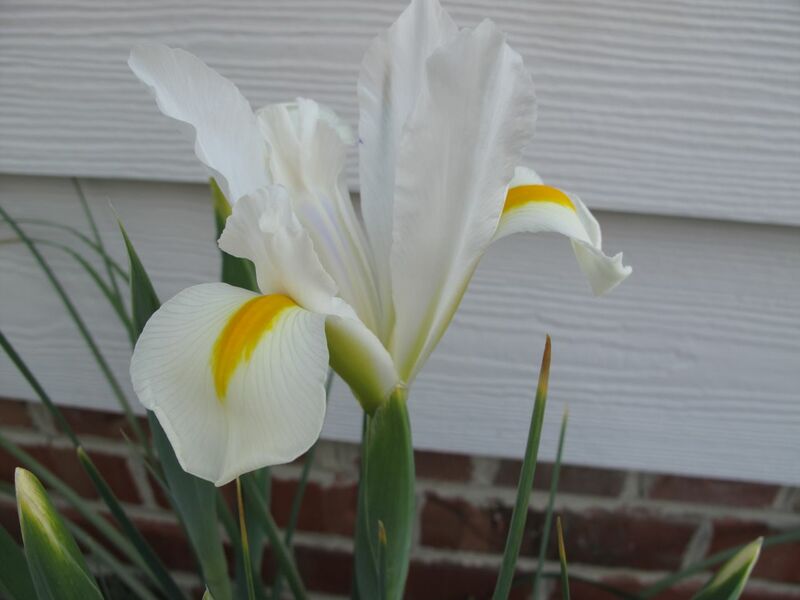 I have only a couple of Dutch Iris, just enough to make me smile and be happy when they bloom. The warm temperatures of the last few days must be encouraging them. I first noticed their tall stems this weekend. 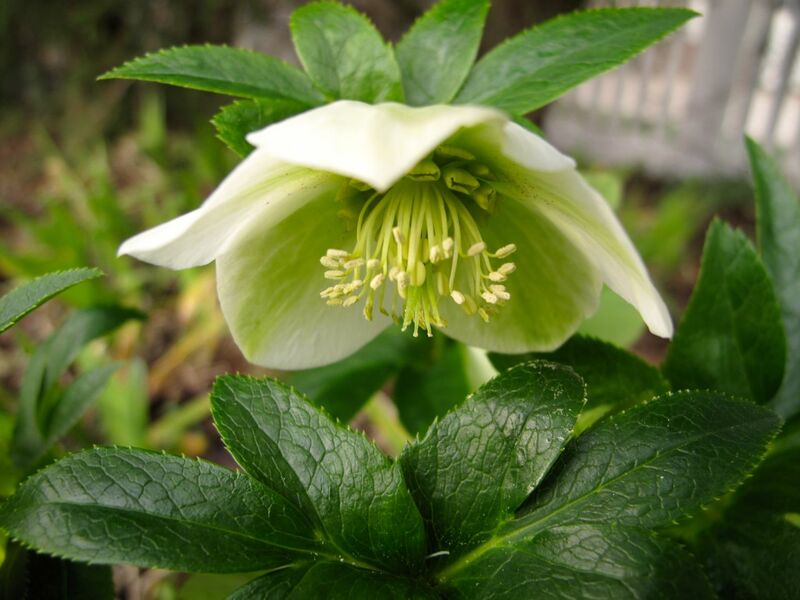 By this morning buds suddenly were bulging and by late afternoon, a single flower had opened. 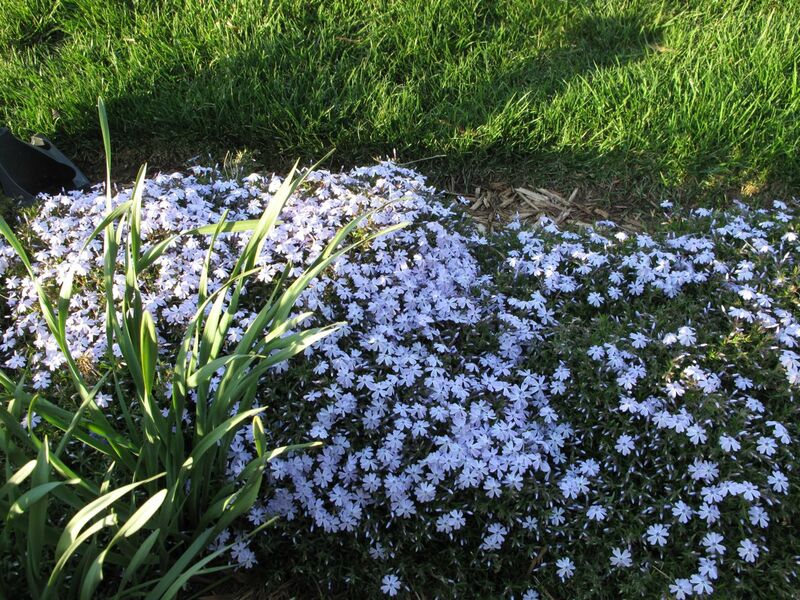 At the street end of the side garden a large patch of Emerald Blue Phlox is almost in full bloom. 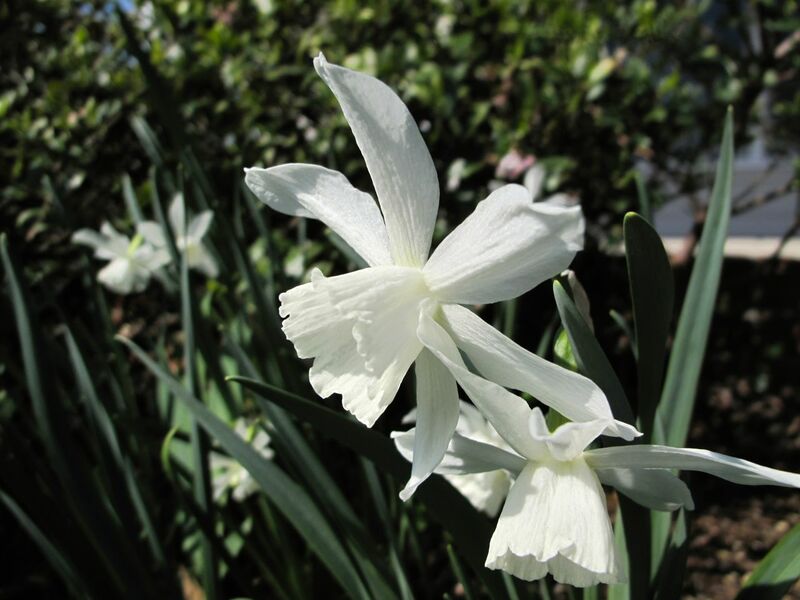 This entry was posted in garden and tagged almanac, daffodil, Dutch Iris, garden photography, phlox subulata on April 8, 2013 by pbmgarden. 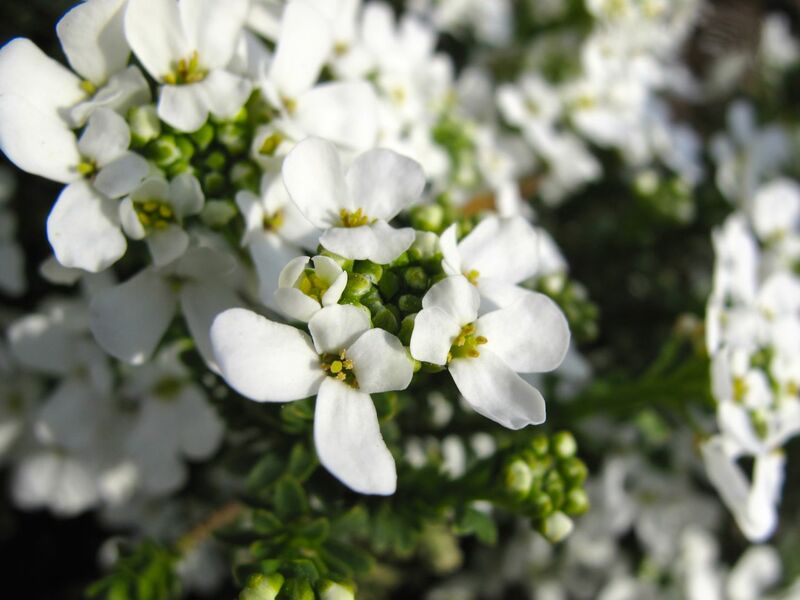 Spring arrived quickly this year bringing with it early flowering to non-natives, such as the December arrival of Iberis sempervirens in the meditation circle. On the other hand the natives in the garden seemed to hold back and take their time. They are opening approximately the same time as they have the last few years. 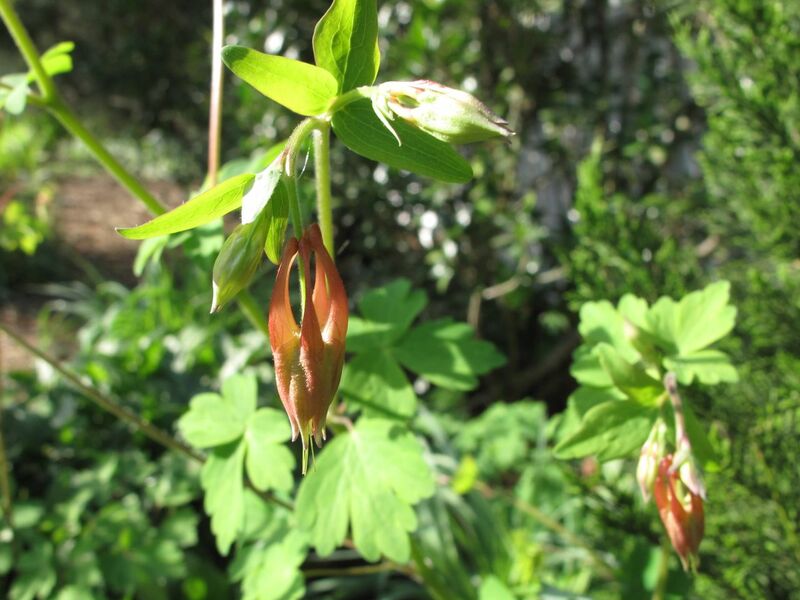 One such native is Aquilegia canadensis (Eastern red columbine), which has just started blooming this week. 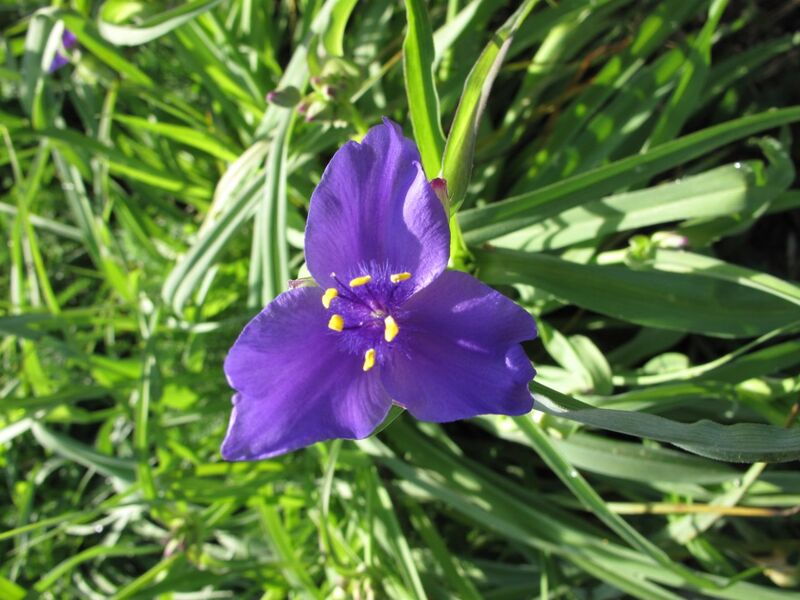 Also native, Tradescantia (Spiderwort) slowly has begun to show color around the garden. 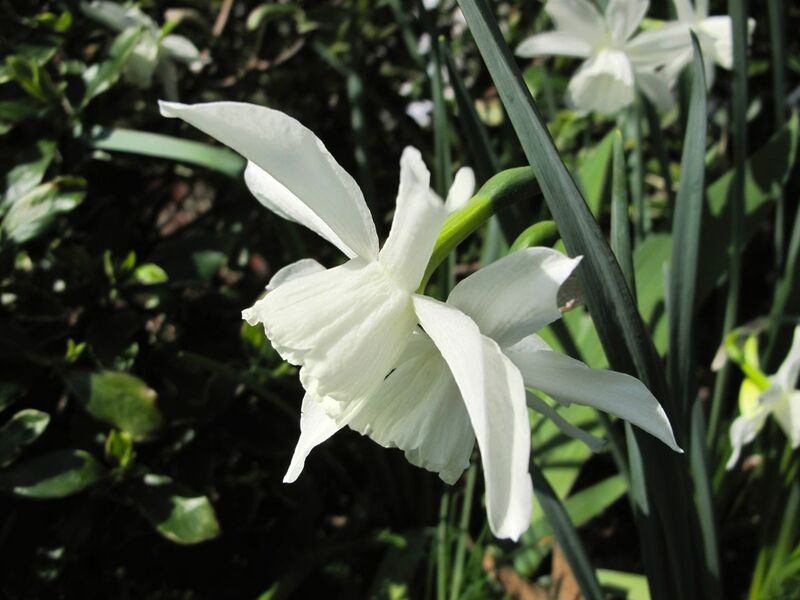 It seems to be a week early, based on garden records from past years, but it really has not put on its full display yet. 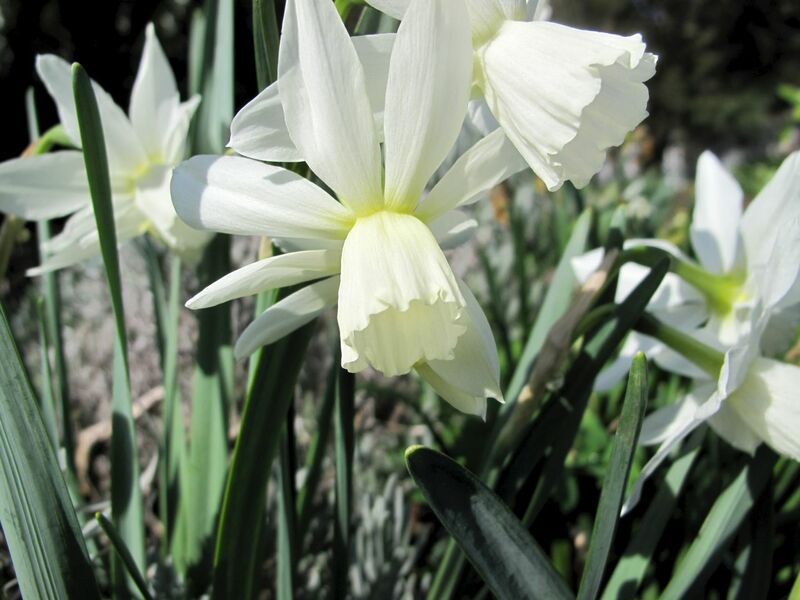 Not all of the many plants are blooming. 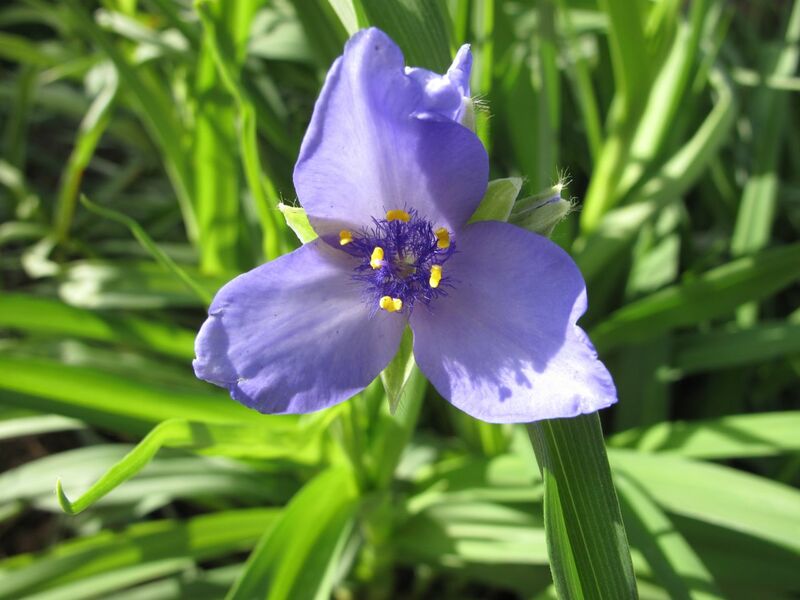 Spiderwort spreads easily and has drifted throughout the garden, often shifting colors as it moves around. Some years I do not mind, but this year I have already been yanking it up. 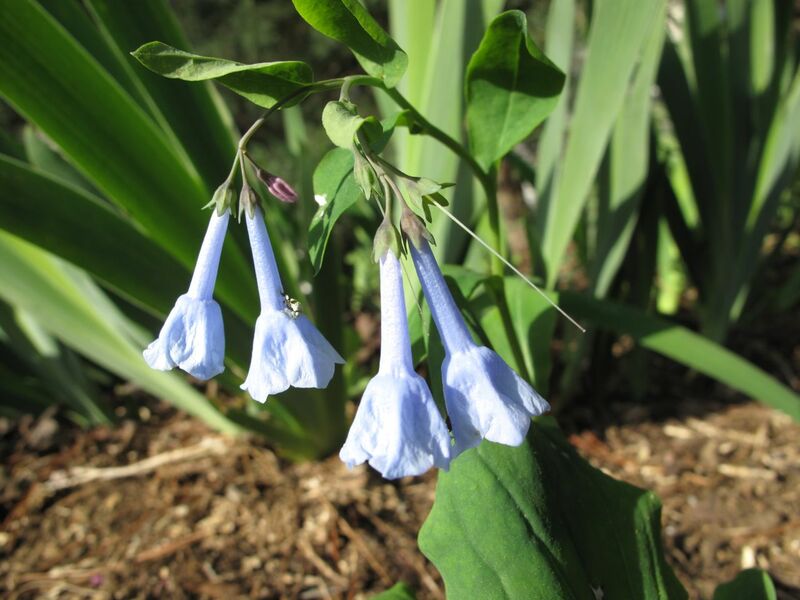 The Mertensia virginica (Virginia Bluebell) is native, but new to this garden. Judging from online resources its current blooming seems reasonable. 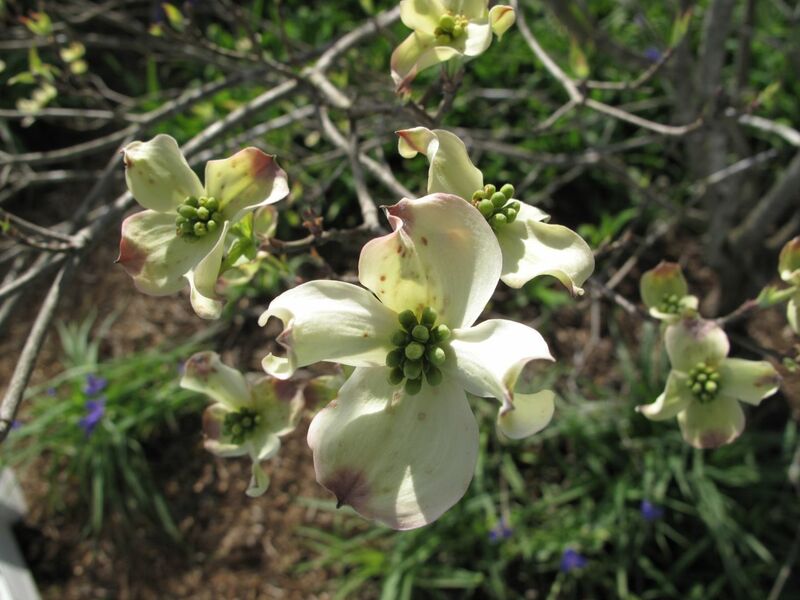 The Cornus florida (Flowering Dogwood) is another native showing restraint. 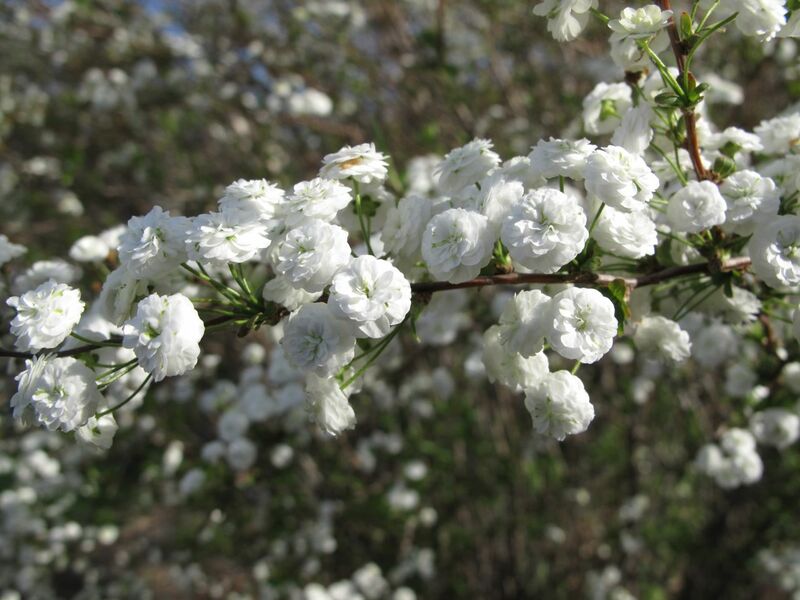 This tree, flowering about the same time as last year, will probably peak in another week. 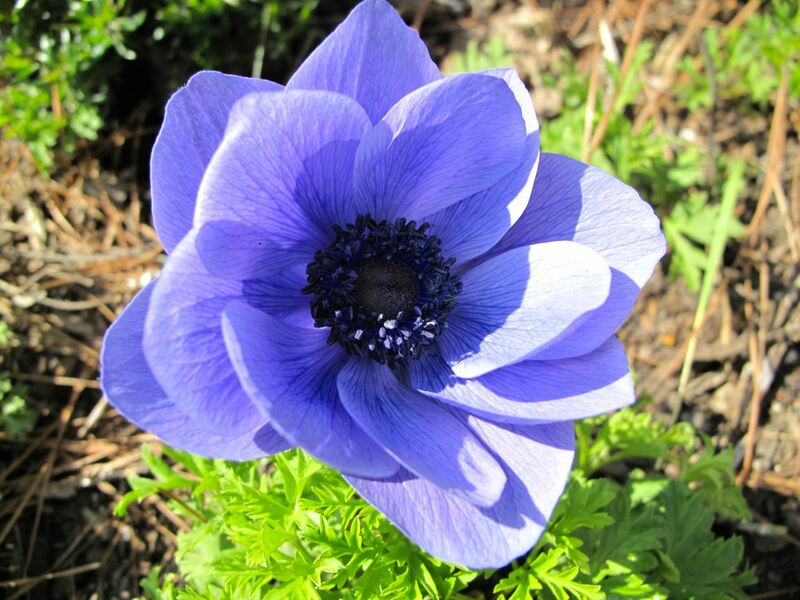 This entry was posted in garden and tagged Aquilegia canadensis, bloom times, Cornus florida, dogwood, eastern red columbine, phlox subulata, spring, Spring Flowers, Virginia Bluebell on March 29, 2012 by pbmgarden. With temperatures in the forties, yesterday a brief rain fell midday. Walking through the garden afterwards was pleasant as the sun peeked in and out. 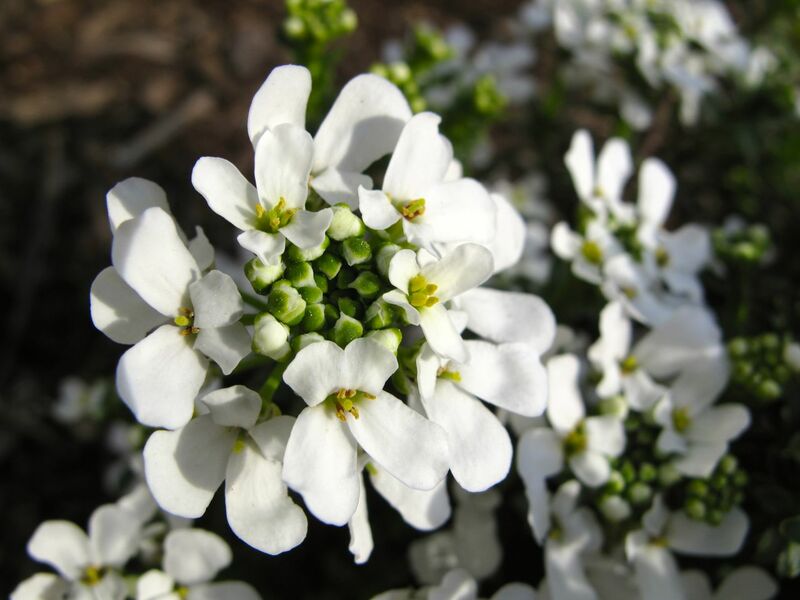 Plants are changing quickly, full of hope and promise in this early growth period, as they prematurely signal spring’s arrival. Weekend weather forecasts call for a low of 20 degrees on Saturday, 17 on Sunday and 28 on Monday. 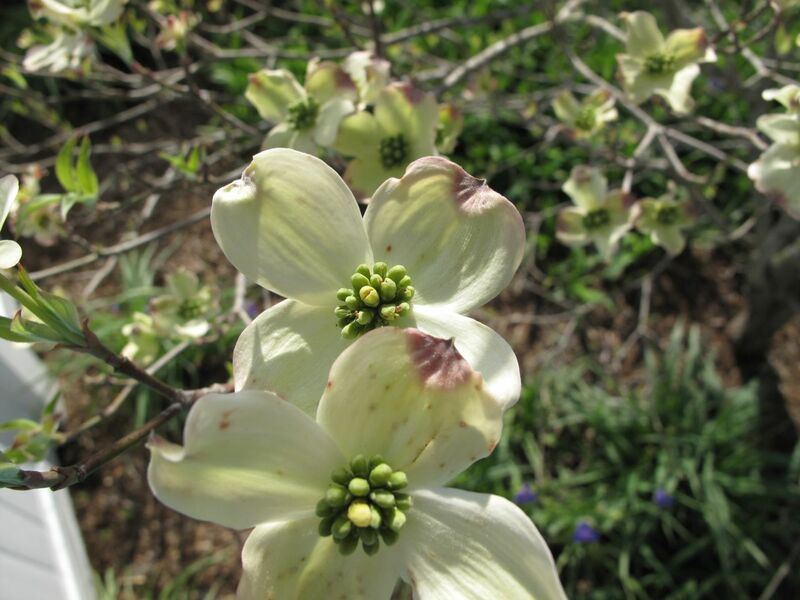 Before the chill arrives, here is a close-up look around the garden. 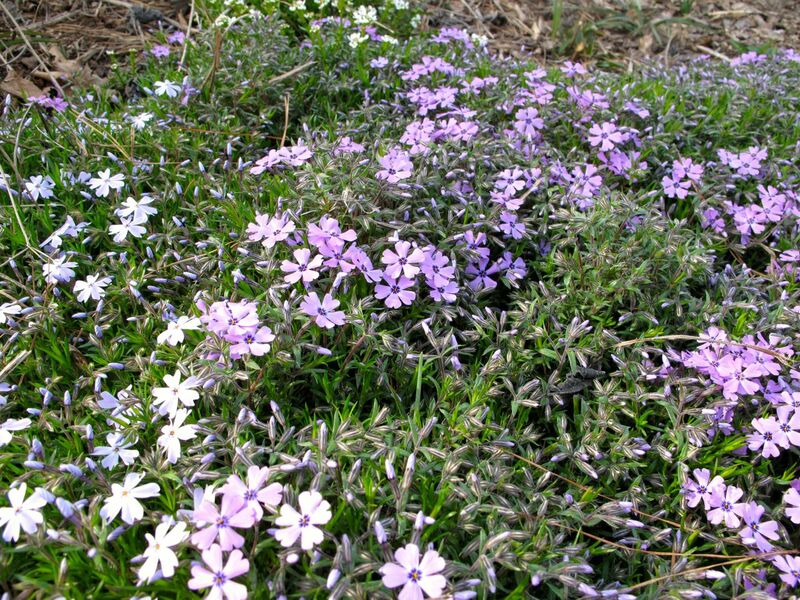 This entry was posted in garden and tagged almanac, artemisia, daffodil, early growth, Hellebores, penstemon, perennials, phlox subulata, Red Maple, rose campion on February 9, 2012 by pbmgarden.